Sharon Medellín is a Senior Partner in the firm's Litigation Practice Group. Ms. Medellín represents municipal entities in various civil litigation matters, including lawsuits involving civil rights claims, personal injury causes of action, property damage actions, and various other tort claims in both state and federal court. She regularly defends municipal entities in actions alleging premises liability claims for the existence of dangerous conditions of public sidewalks, streets, and roadways. Ms. Medellín has significant experience with the California Government Claims Act, including issues associated with private party compliance with claims procedures and the statutory grounds for bringing lawsuits against governmental entities. She also routinely represents law enforcement agencies and peace officers in litigation involving allegations of police misconduct and in court proceedings on Pitchess Motions filed by criminal defendants. 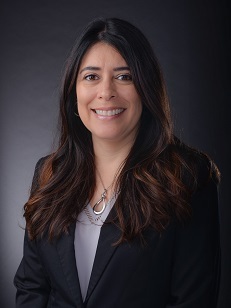 Prior to joining Alvarez-Glasman & Colvin in June 2009, Ms. Medellín spent eight years in private practice where she gained significant experience in general business litigation, including contract disputes and business torts. She has previously represented clients in a variety of environmental matters involving both state and federal statutes and regulations, as well as common law causes of action. She assisted clients in oil and gas related litigation and transactions, participating in negotiating and drafting surface access agreements, oil and gas facilities agreements, and unit operating agreements. She has also been involved in construction matters, including the resolution of claims arising under the California False Claims Act and California Public Contracts Code. Additionally, Ms. Medellín has significant experience in civil writs and appeals. Ms. Medellín received her law degree from the University of California, Los Angeles, where she served as Associate Editor of the UCLA Journal of Environmental Law and Policy. For her undergraduate studies, she attended the University of California, Berkeley, where she earned a Bachelor of Arts degree in Sociology with a minor in Spanish Language & Literature, graduating with high honors distinction.